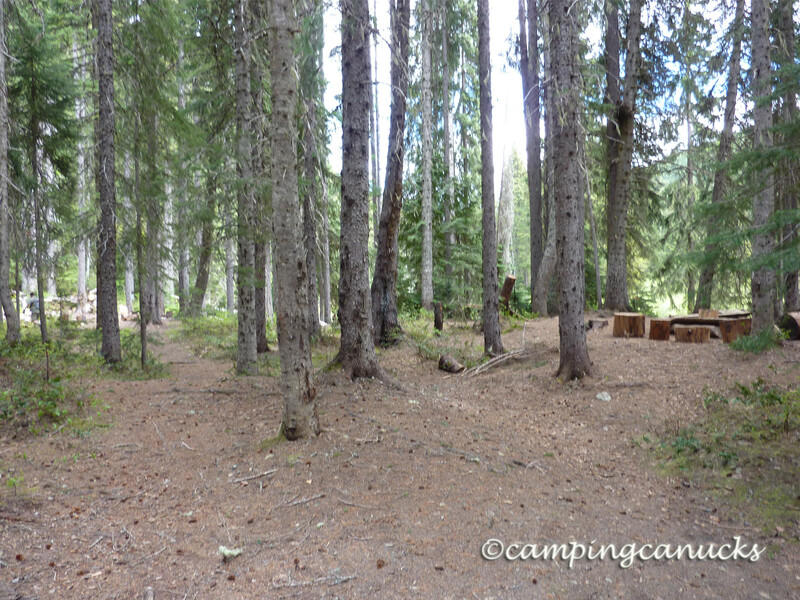 The Lightning Lakes Chain Trail in E.C. 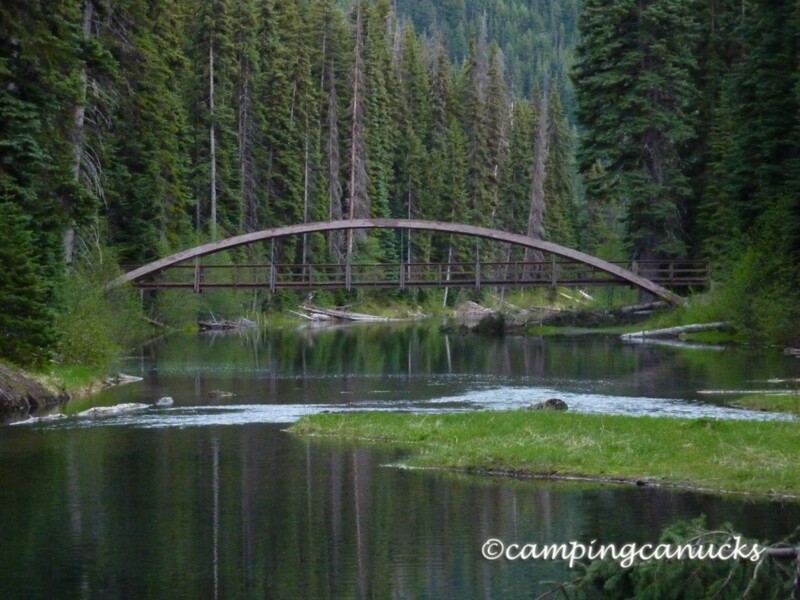 Manning Provincial Park, BC is an easy 20km backpack. 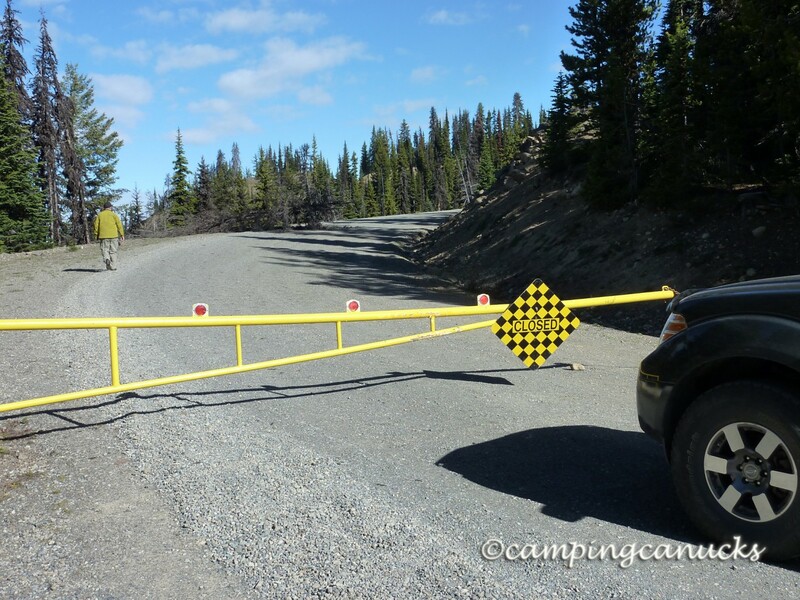 Our initial plan was to backpack the Heather Trail, but on this early June morning there was still too much snow and the trail was not open for the season (even though the Manning website had indicated it was). 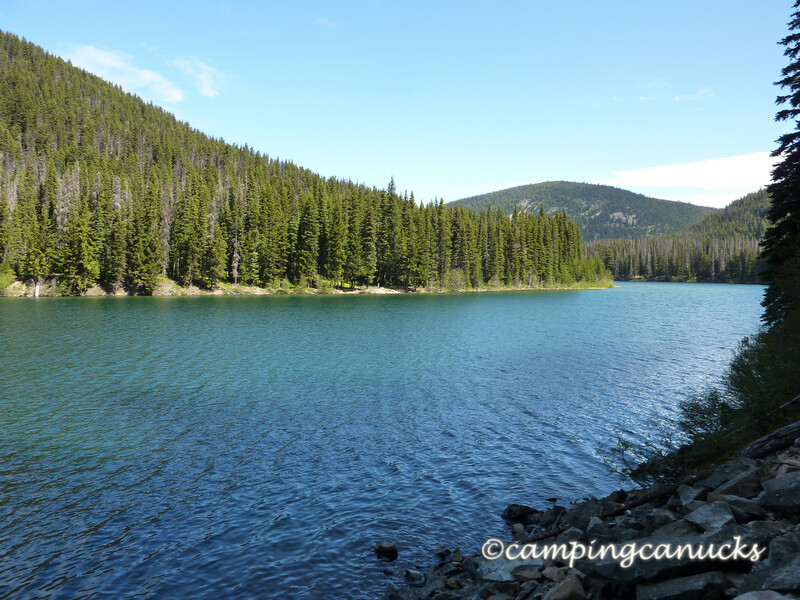 We came up with Plan B, which was to hike to Strike Lake and camp overnight. 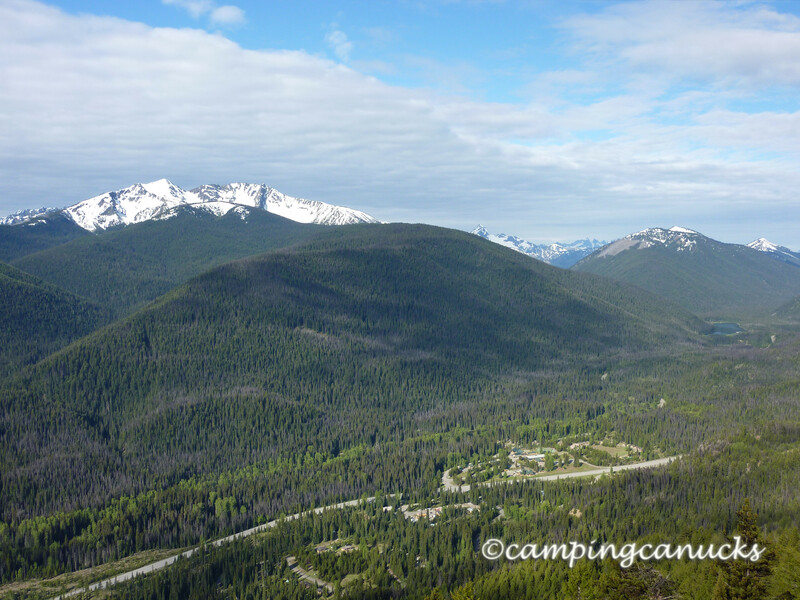 At least we got a nice view of some peaks and Manning Park Resort before we had to turn back. 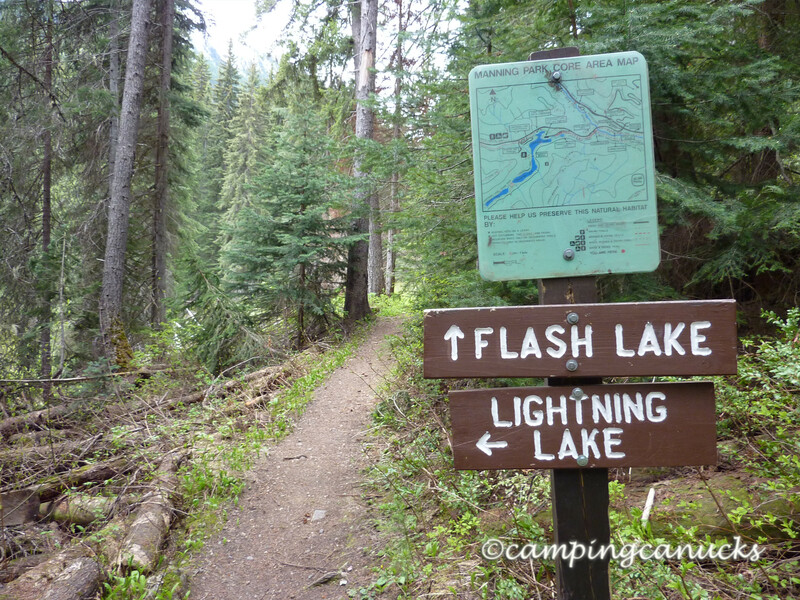 The trail begins at Lightning Lake, just after the Rainbow Bridge, and continues on to Flash Lake, Strike Lake (where the campsite is) and, if you want to hike even further, Thunder Lake. There are several options along the way depending on whether you would like to hike on one side or the other of each lake. A few of the branches were closed when we were there. We were the only ones at the Strike campsite at first, but it soon filled to the brim with campers. We were surprised to find an abundance of cut firewood stacked and ready for use. There is also a bear cache and an outhouse at the site. 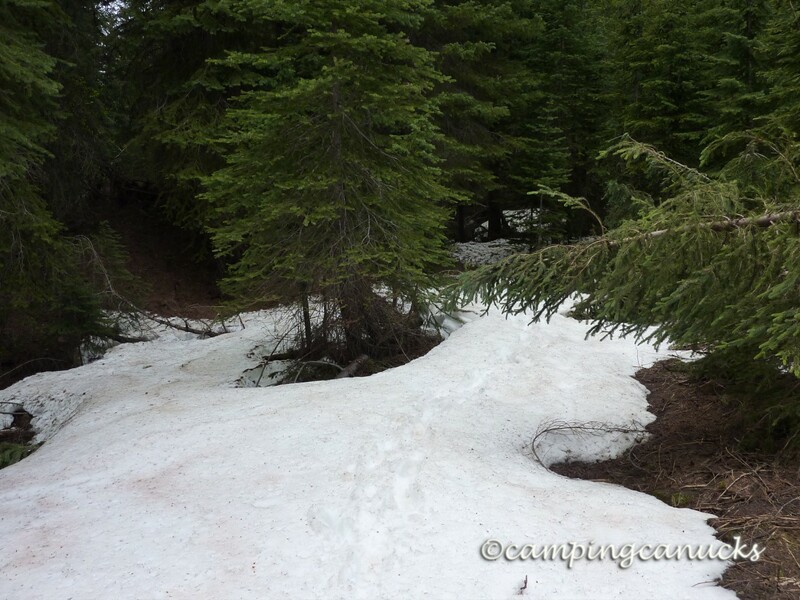 After setting up our tent, we tried to hike on to Flash Lake, however there was still too much snow on the trail and eventually we turned back. 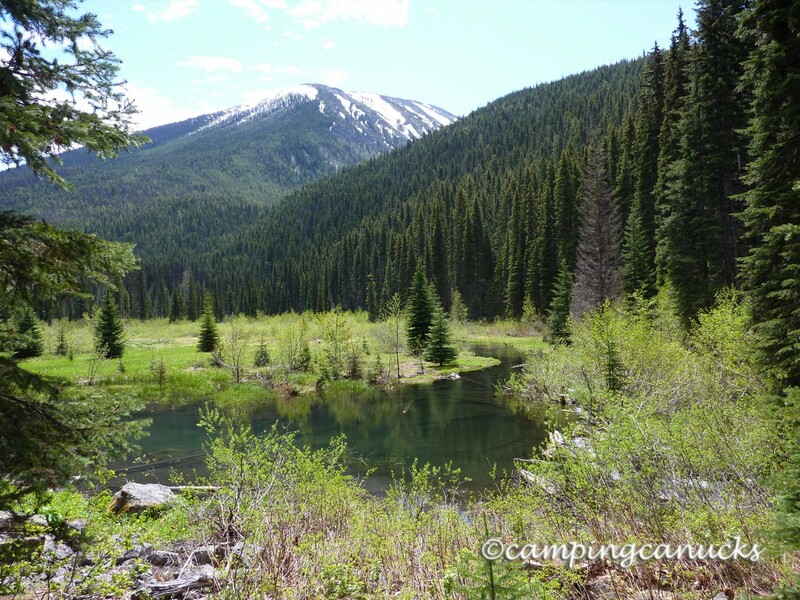 We have now hiked the Skagit River Trail, Mount Frosty to PCT Camp and Windy Joe, and the Lightning Lakes Chain in and around Manning Park. We plan to return to check out the Skyline Trail as well as the Silverdaisy Mine someday.